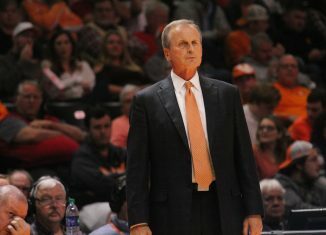 It’s hard to believe, but the 2018-19 regular season is coming to a close for Tennessee’s men’s basketball team on Saturday when they take on the Auburn Tigers. No. 5 Tennessee (27-3, 15-2 SEC) will take on Auburn (21-9, 10-7 SEC) at noon Eastern and 11:00 AM local time on Saturday for the regular season finale for both schools. 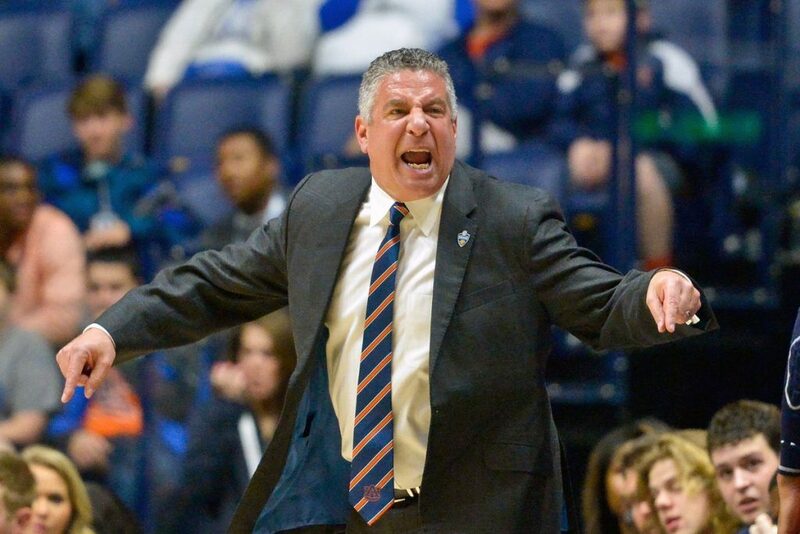 It marks the first time in over a year that the two programs have played each other, and it’s the seventh time that Auburn head coach Bruce Pearl will take on his former team. 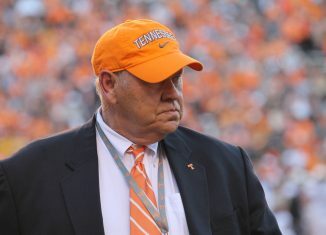 The Vols are 4-2 all-time against Pearl since he took over at Auburn. Both teams will have plenty to fight for on Saturday afternoon when they meet on the hardwood. 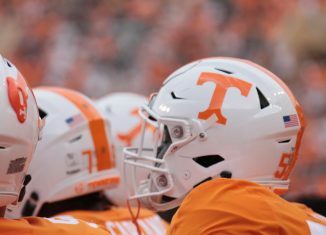 For Tennessee, a victory would assure them at least a share of the SEC regular season title and at least the No. 2 seed in the SEC Tournament. The Vols have never won back-to-back regular season SEC titles in school history. Tennessee won a share of last season’s regular season championship with Auburn, and they’re currently tied with LSU atop the standings this season. 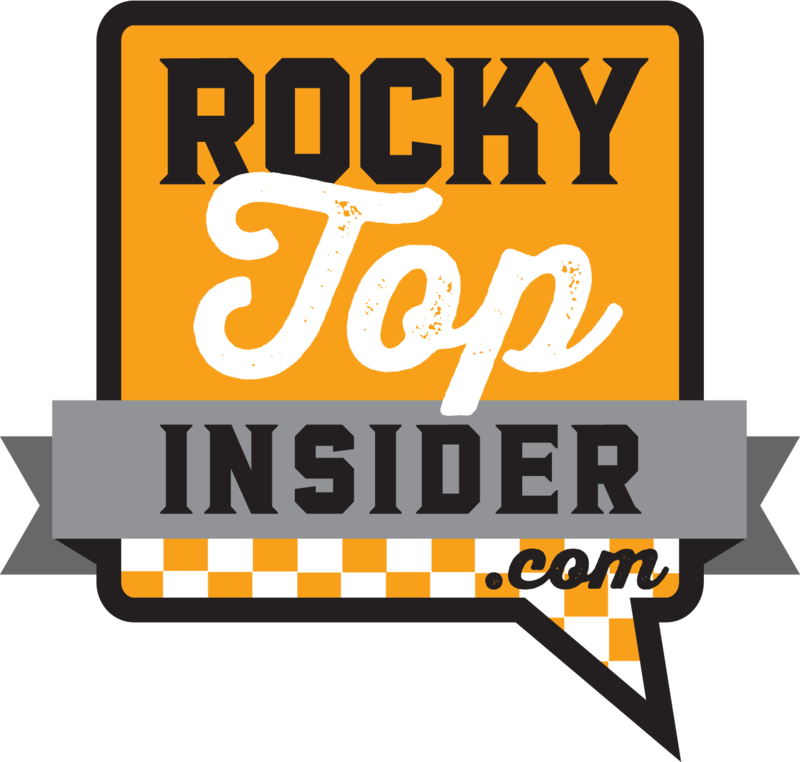 If the Vols can defeat the Tigers and if LSU loses to Vanderbilt on Saturday, then Tennessee would be the outright champions. Auburn is playing for a double-bye in the upcoming SEC Tournament. Right now, the Tigers are in a tie for fourth place with South Carolina, but the Gamecocks own a head-to-head tiebreaker over Auburn thanks to their 80-77 victory over the Tigers at home back on January 22nd. If Auburn wins and the Gamecocks lose their game against Georgia, the Tigers will get the final double-bye for the SEC Tournament. Not only that, but Auburn also has Senior Night on Saturday. It will mark the last home game for four different Tiger players. Here’s everything you need to know when the Vols travel down to Alabama to take on Auburn on Saturday. Auburn loves to shoot threes. Like, they really, really love to shoot threes. No other team in the SEC has attempted more three-pointers this season, and the Tigers have been pretty exceptional at making those shots from distance as well. Auburn has the seventh-most made three-pointers in all of college basketball, and they’re 10th in threes attempted. They’ve made 37.5 percent of their threes on the season, ranking 41st in Division I basketball. Their 39.5 percent clip from distance in SEC play is second in the conference. The Tigers have five players who make at least 35 percent of their threes on the season. Samir Doughty leads the team in percentage, making 42.9 percent of his 77 three-pointers this season. Bryce Brown has taken the most threes for Auburn this year, and he’s also made a ton of them. The senior guard has attempted 250 threes this season, and he’s connected on exactly 40 percent of them. For comparison, the Vols’ top two three-point shooters this season — Admiral Schofield and Lamonte Turner — have combined to shoot 256 threes this year. Tennessee had been struggling with defending the three in SEC play up until the last couple weeks. 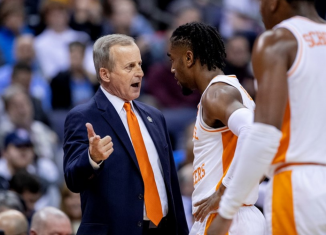 The Vols were allowing conference opponents to make around 39 percent of their shots from distance until after their first meeting with Kentucky in February. 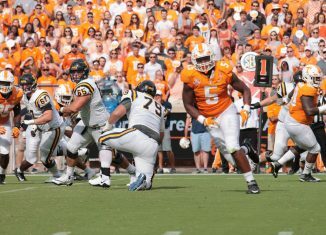 After the Vols got blown out in Lexington, they amped up their overall defense and specifically their perimeter defense. In their last five games, the Vols have held their opponents to just a 31.1 shooting percentage from three. If the Tigers get stymied from deep, they have a hard time winning games. In their nine losses, they’ve shot worse than 36 percent from three in six times. In Auburn’s 21 wins this season, they’ve shot worse than 36 percent from three-point range in just six of them. The Tigers are 11-3 when they shoot better than 36 percent from three this season and just 10-6 when they don’t. 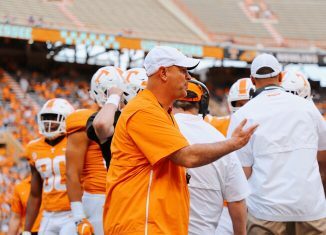 Auburn has been nearly unbeatable at home this season, and the Vols will have to play on top of their game to go down to The Plains and get a win. The Tigers have played 16 home games this season, and they’ve only lost twice. Their losses came by two points against then-No. 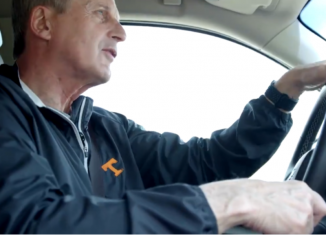 12 Kentucky and by five points to Ole Miss. Otherwise, Auburn has won all 14 of their other home games this season. Not only have the Tigers won a lot at home, but they put up much better performances at Auburn Arena than they do on the road. The Tigers are averaging 85.4 points per game at home and only 73.6 points per game away from their home arena. Auburn will not only be playing at home on Saturday, but there’s the added motivation of it being Senior Night for the Tigers as well. All three of Tennessee’s losses this season have come away from home, but those three losses have come to top-15 teams. Auburn started the season as a top-15 team but hasn’t been ranked in the AP Poll since late January. The Tigers have been without 6-foot-11, 260-pound Austin Wiley the last few games, and he’s expected to be out on Saturday as well. 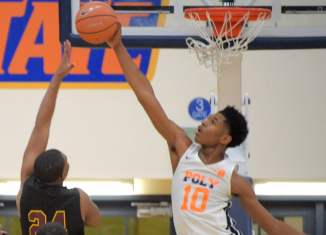 Head coach Bruce Pearl was asked about Wiley’s availability this week, and he said the junior center is “doubtful” for the game but that there’s still a hope he can play. 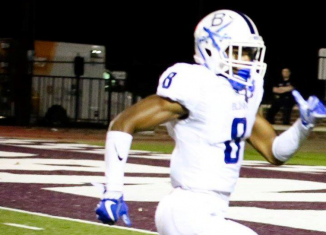 Wiley hasn’t played since Auburn’s last game against Kentucky on February 23rd, but even when he was playing he wasn’t at full strength and didn’t look like himself. Wiley re-aggravated a lower leg injury in the Tigers’ match-up with Kentucky, and he’s been out ever since. He’s only played in nine of Auburn’s last 13 games, and he was only averaging 7.6 minutes per game in the last six games before he got benched again. Wiley has suffered three different leg injuries in his Auburn career. The Tiger big man is averaging 8.2 points and 4.9 rebounds in the 21 games he’s played this season. Stepping in for Wiley will be junior Anfernee McLemore and senior Horace Spencer. McLemore is averaging 7.3 points and 4.3 rebounds this season and has scored in double figures in three of his last five games. He’s played over 20 minutes in four-straight games. Spencer has averaged 4.5 points and 4.3 rebounds a game this year and has played at least 17 minutes in three-straight contests. Auburn’s top three scorers are all very, very dangerous. 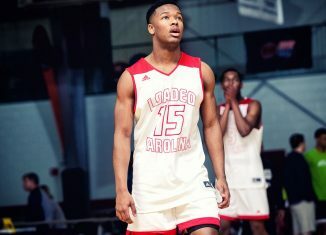 Bryce Brown and Jared Harper are two very potent guards who are averaging over 15 points a game apiece, and big man Chuma Okeke is averaging 11.8 points and 6.8 rebounds per game. Those three have combined to score 53 percent of Auburn’s points this season. Brown is a senior and is averaging a team-high 15.7 points per contest. As mentioned before, he leads the team in three-pointers attempted and has made 40 percent of them this season. Harper is the Tigers’ point guard, and he’s averaging 15.2 points and 5.8 assists. He’s made 38.4 percent of his threes this year. Okeke is just a sophomore, but he’s Auburn’s go-to man in the paint right now. He’s averaging nearly 30 minutes a game and is making 49.4 percent of his field goals. He does have a tendency to get in foul trouble, however, and the Tigers as a whole have that issue. They’re ninth in the conference in fouls committed in SEC play, and they’ve drawn just the third-fewest fouls in conference play. SEC teams have attempted 60 more free throws against Auburn this season than they’ve taken themselves. If Tennessee can get Auburn in foul trouble, then they can negate the damage the Tigers’ offense is capable of doing. Auburn may not have the best defense you’ve ever seen, but they do an excellent job at forcing turnovers and stealing the ball away from opponents. The Tigers have forced the fifth-most turnovers from opponents in Division I basketball this season. Auburn is averaging 17.9 forced turnovers per game, and they rank 10th in total steals in all of college basketball, totaling 273 on the year. Five different Auburn players average at least one steal per game this season. Chuma Okeke leads the team in that department, averaging 1.6 steals per game. Samir Doughty is right behind him, averaging 1.5 steals a game, while Jared Harper (1.1), Bryce Brown (1.0), and Malik Dunbar (1.0) all average right around one steal a game.